Miss Mandi did an amazing room makeover for $150. The entire room is gorgeous, but my favorite piece is the DIY clock art. These clocks are such a fun way to add color to a room and you can personalize them with the time of places that are important to you. 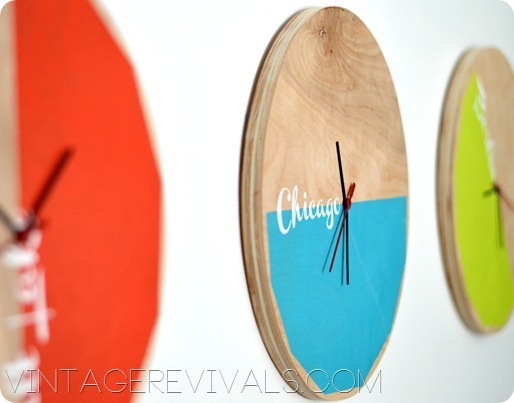 You can check out the DIY clock art and the rest of the amazing room reveal over at Vintage Revivals.